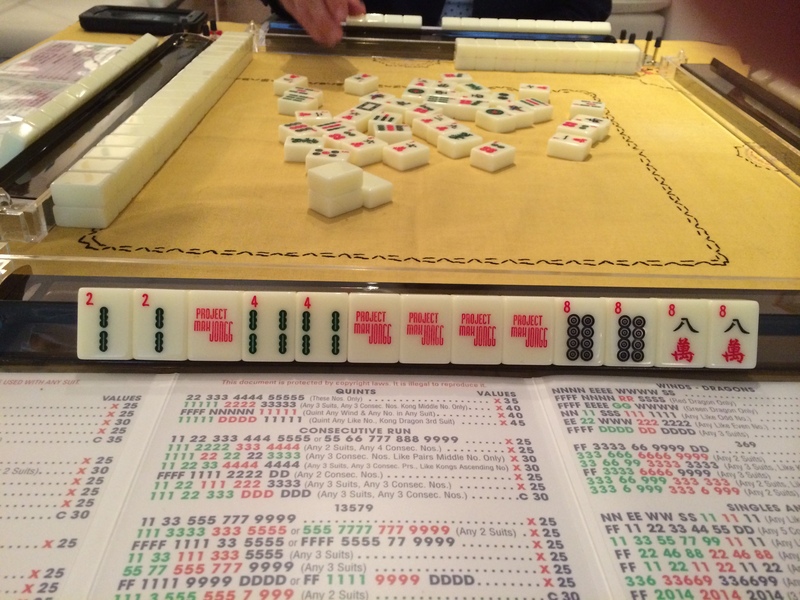 Yesterday was Mah Jongg Wednesday for the OMs. It was a wonderful day as not only did we play our favorite game but we also celebrated K’s upcoming birthday. S1 brought Prosecco for the celebration, which we had with dessert – complete with birthday candle for K. And we had a surprise as well – Jim showed up in between his client visits and walked in just in time to join us for lunch. D showed up a few moments later so it was a full house with lots of good friends. The only down side was that J and X were missing – J being in Europe and X being in the country. 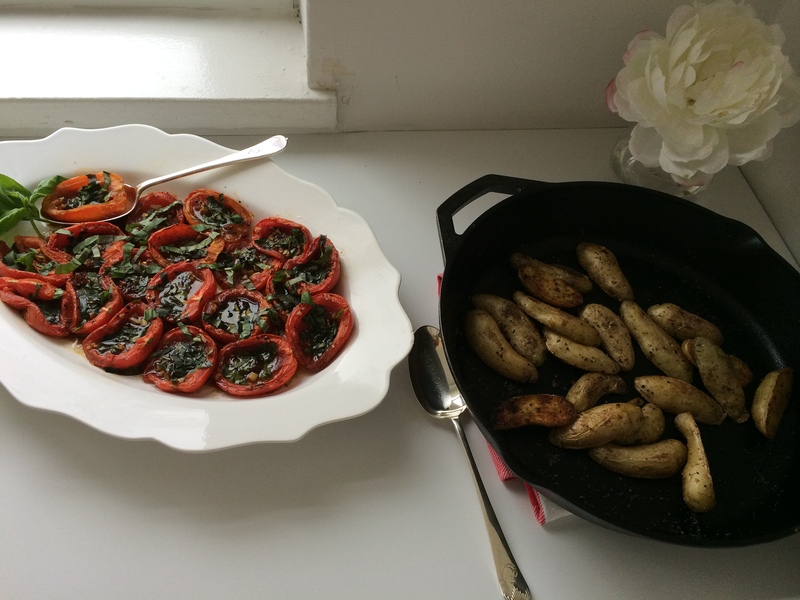 I woke up early on Wednesday morning so decided to add Roasted Tomatoes to the menu. They are so easy to make and so worth whatever effort they might take. 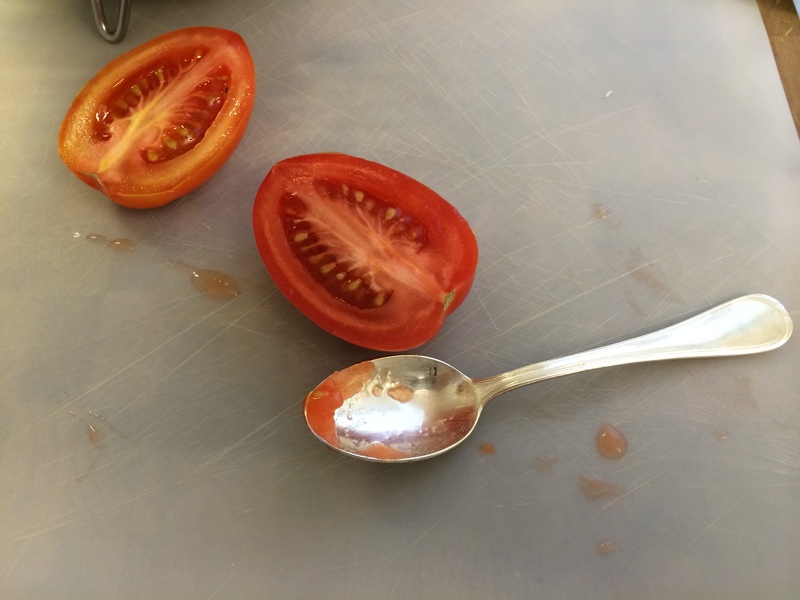 All you do is take plum tomatoes and, with a spoon, remove the core and seeds. 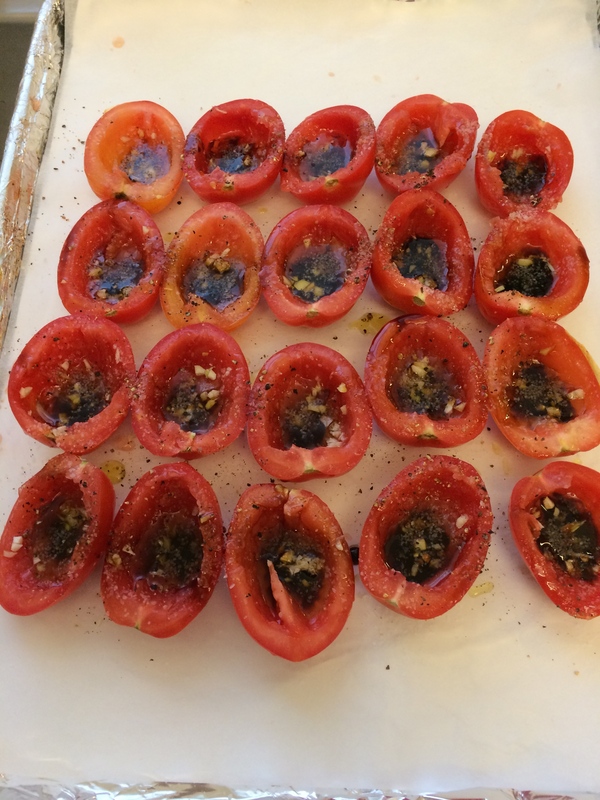 Put them on a parchment-lined cookie sheet, sprinkle minced garlic in the shells and then drizzle olive oil and balsamic on them. Add a little sugar, salt, and pepper and pop them into a very hot oven until they are roasted and caramelized. After about 30 minutes they will be done. 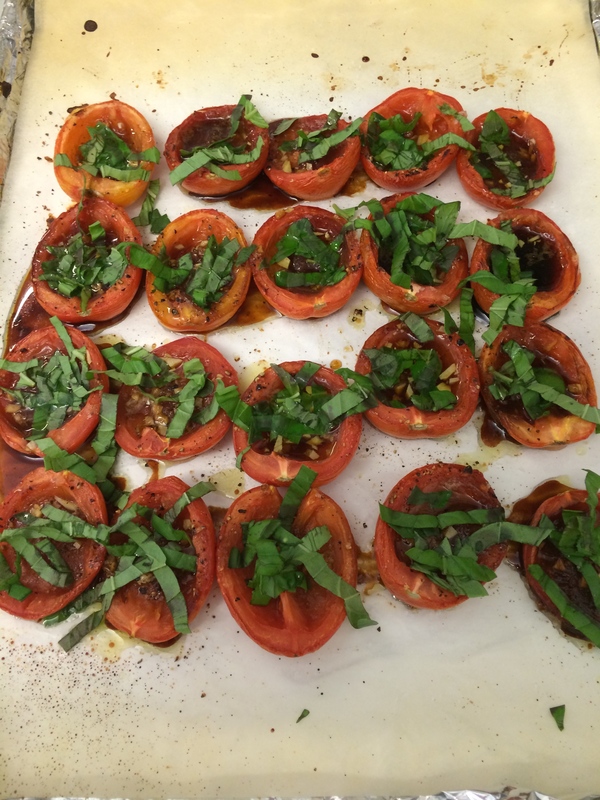 Bring them out of the oven and sprinkle them with lots and lots of julienned basil. So delish! 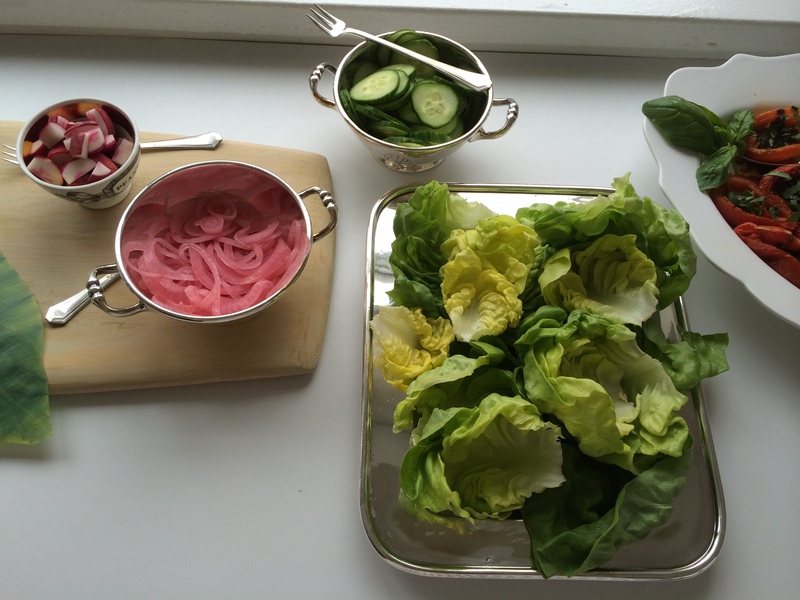 I thought our lunch turned out to be yummy, if I say so myself! The gazpacho, after chilling overnight, was just right. It had a little kick to it, thanks to the jalapeño and the cayenne pepper, that sneaked up on you – really, really good. 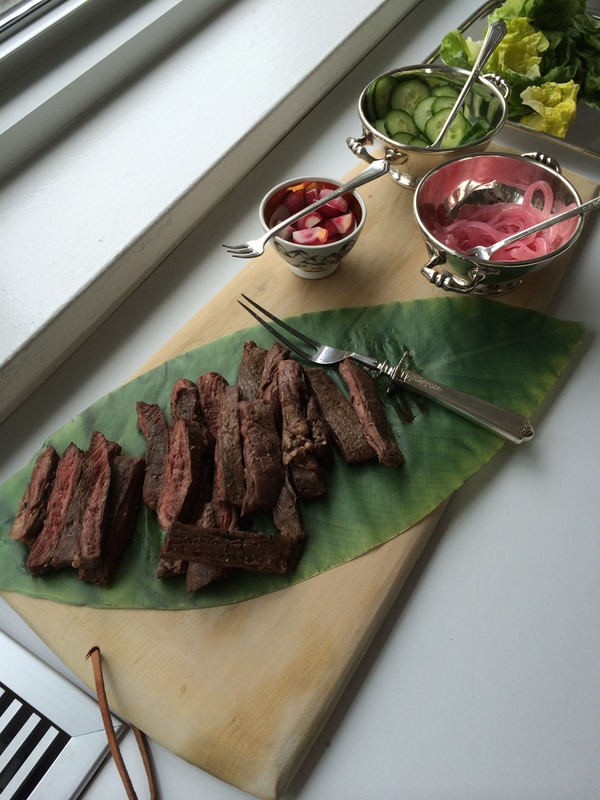 The Steak Salad with Horseradish Dressing and Pickled Onions was a big hit and everyone really seemed to enjoy it. 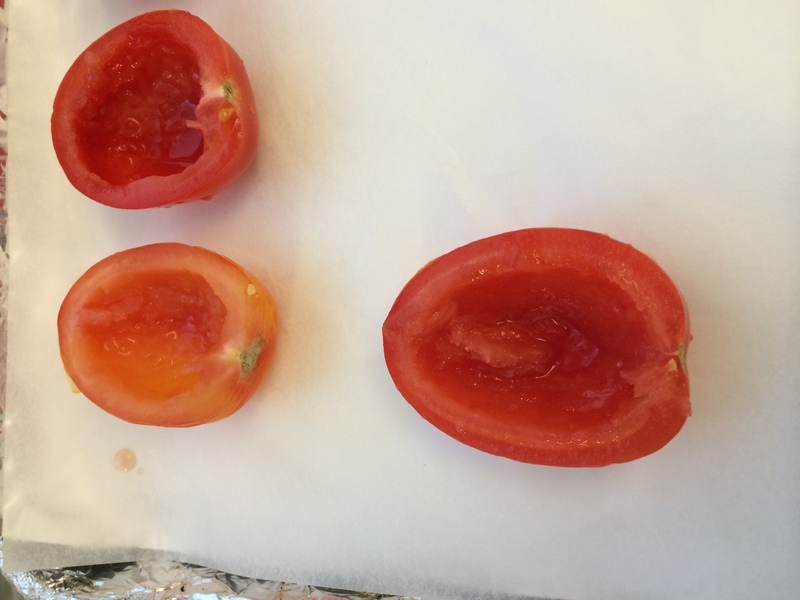 I’m glad I added the Roasted Tomatoes to the menu. I also had a big chunk of Humboldt Fog cheese and some good Parmesan Reggiano along with a wonderful baguette from Eli’s. 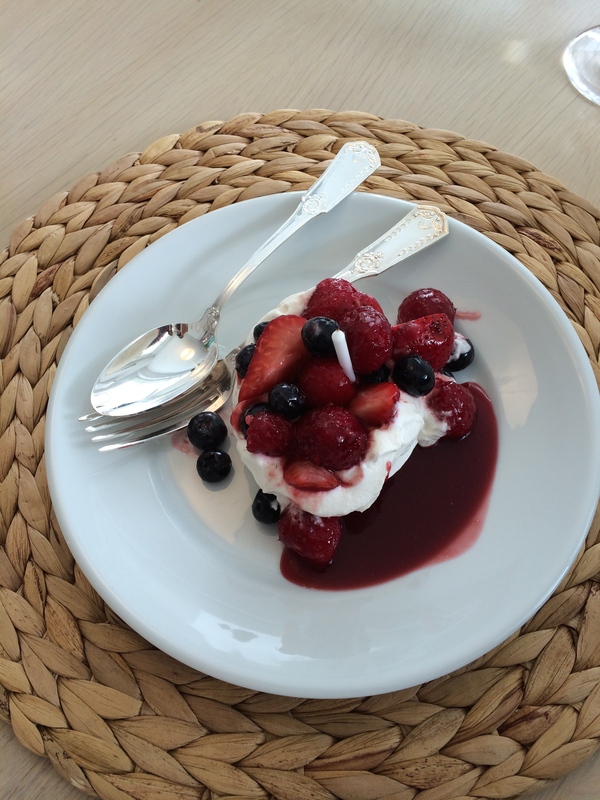 Dessert was Mixed Berry Pavlova and that seemed to be a big hit too. 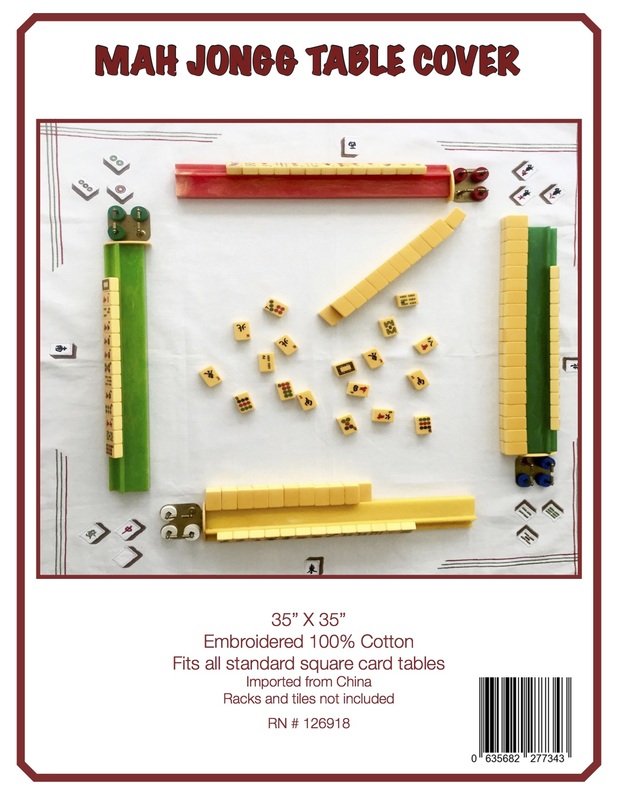 Hey, wait a minute…what about Mah Jongg?!! We had lots of games today and actually continued to play until around 6:30 pm! 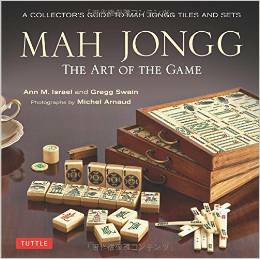 And the good news is that everyone had a good day – we all were able to declare Mah Jongg a number of times. In this game, I had a nice number of Jokers so I was hopeful that I could play the 2222 44 6666 88 88 (any 3 suits, pairs 8s other 2 suits) hand. But I had no 6 Bams so I wasn’t sure if I could be successful. The first 6 Bam was thrown out and I decided to pass on it. And I was glad I did – my turn came around and I picked another Joker. And on my next turn, yet another Joker. So now, all I needed was a 2 Bam (or another Joker!). 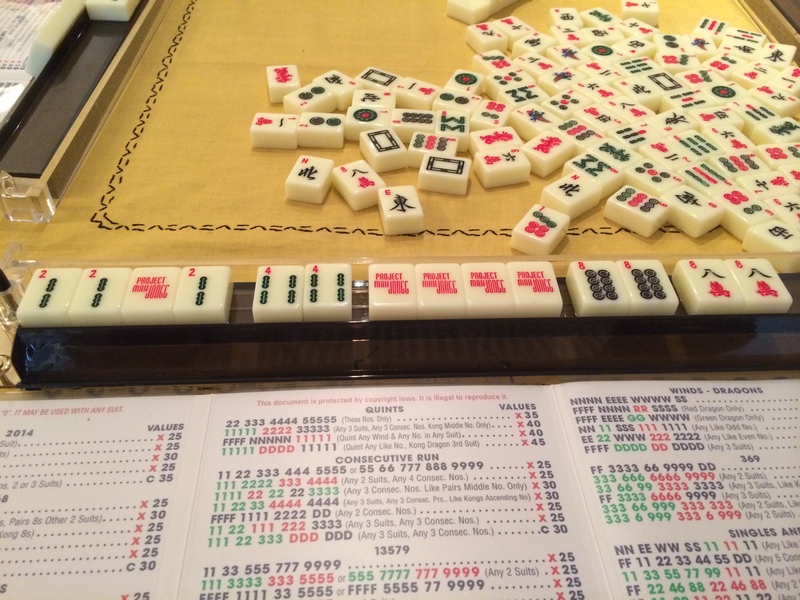 And I was lucky – S2 threw out a 2 Bam and I declared Mah Jongg! As it turned out, I didn’t need any 6 Bams because I had so many Jokers. Now, that is luck! S1 had three exposures on her rack and it was very clear which hand she was playing. I think I must have been in a sugar coma from dessert because I threw out a 9 Dot without even thinking and she declared Mah Jongg. 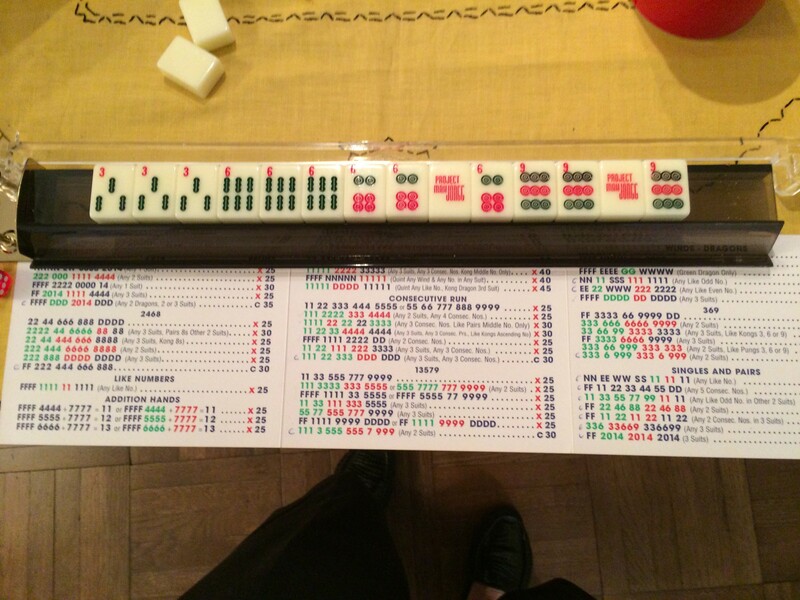 S2 declared Mah Jongg with an Atomic hand – always a thrill when that works out. 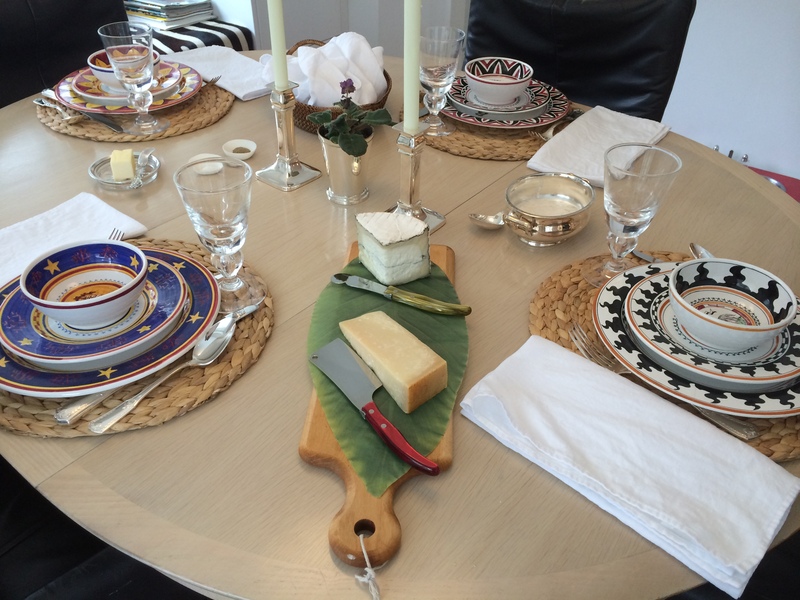 All in all, it was a really fun day and hopefully a fun birthday party for K.
This entry was posted in Mah Jongg and Me and tagged Atomic, baguette, Eli's, gazpacho, Humboldt Fog, mah jongg, mixed berry pavlova, Parmesan Reggiano, roasted tomatoes, steak salad on May 29, 2014 by Mah Jongg and Me. We’re holding a seat for you! What a lovely party. 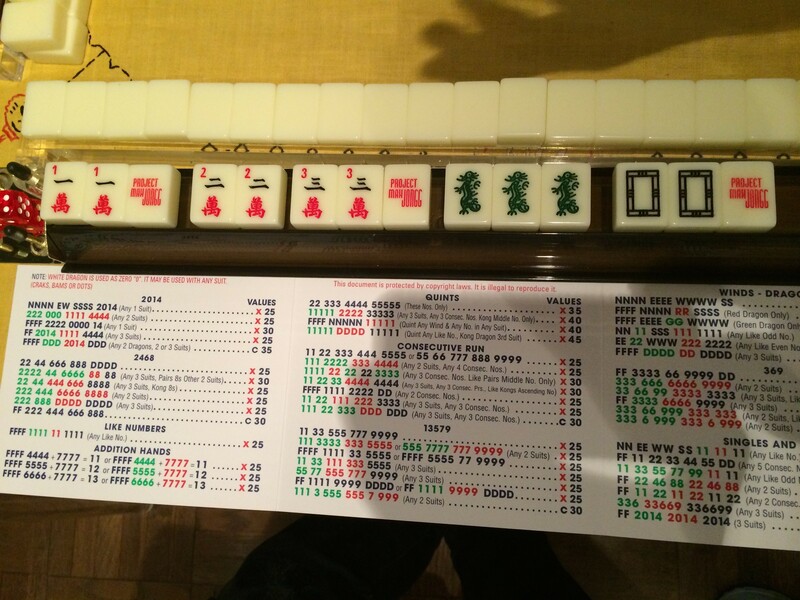 Mah Jongg is always a reason to party! 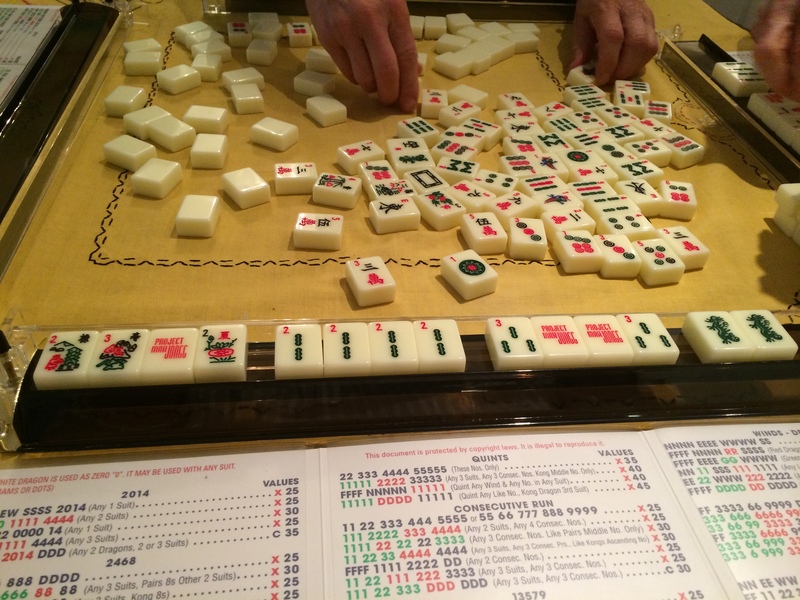 I couldn’t agree more – Mah Jongg Wednesday is always a good reason for us to party! 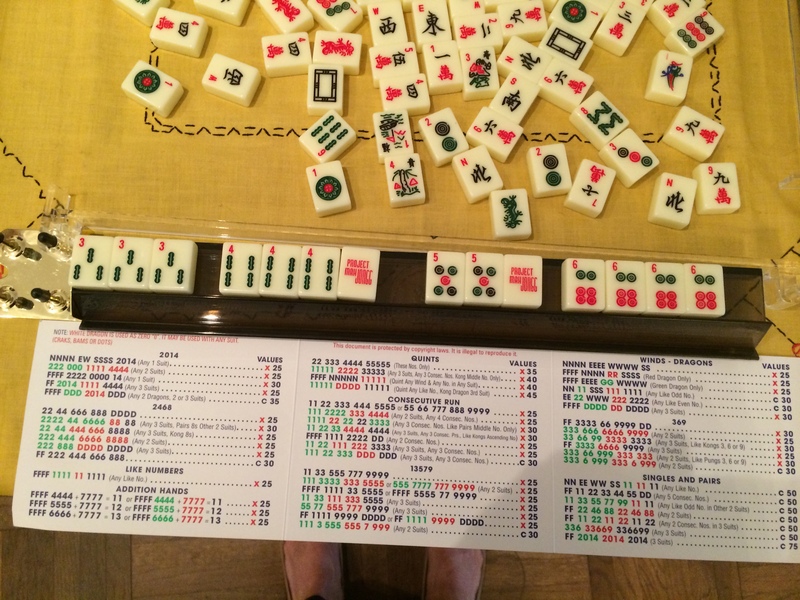 Not sure what I enjoy most – pictures of the yummy food and beautiful table settings or pictures of the winning hands of Mah Jongg! We certainly are lucky you share it all with us. Thank-you! What a nice message from you – thank you so much! Looks like someone was in joker heaven! 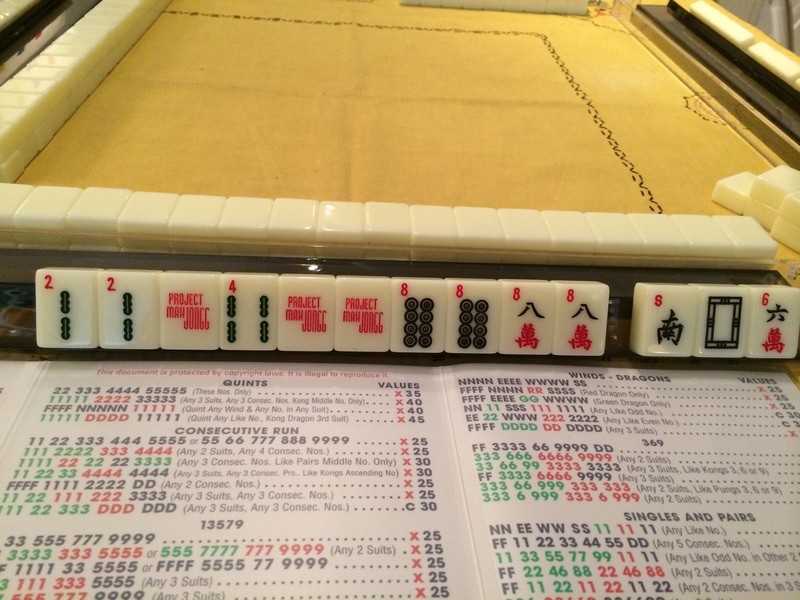 Re joker placement: It is our custom to place the jokers in the middle of a pung or kong rather than to one side, as some times it may be difficult to see what the joker is representing when the full hand is displayed. What do others do? …Love your blog. I am going to make the tomatoes tonight if I have any basil left in the garden. Our tomatoes are still tiny, as we got a late start this year; have to get store-bought. Still will be yummy. Thank you for your generosity in sharing. 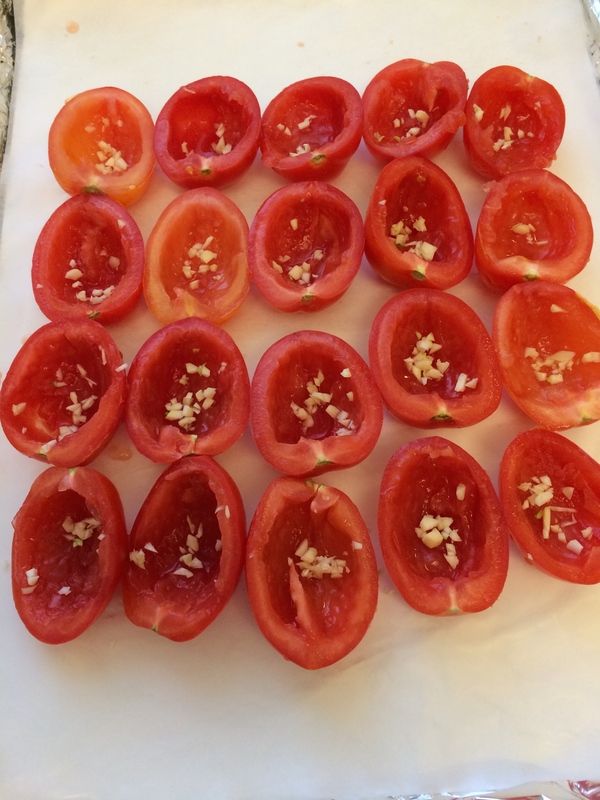 Full recipe for the tomatoes will be posted tomorrow – they are so good – you will love them. And I agree with you about Joker placement – when we expose our tiles we usually do put them in the middle of a Pung or Kong – absolutely the right thing to do!